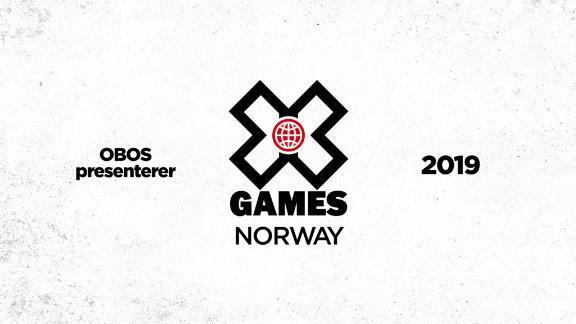 Monster's athletes have a big day 3 at X Games Austin. 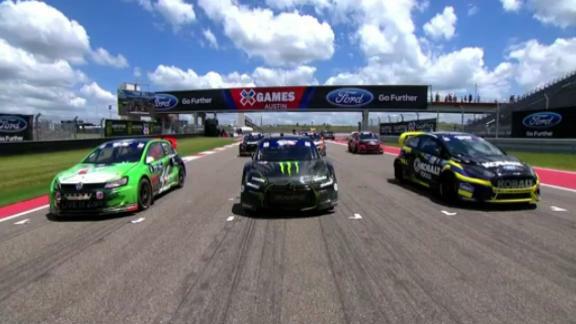 AUSTIN, Texas -- Sweltering temperatures and heavy winds on Saturday didn't stop the athletes from throwing down on Day 3 at X Games Austin, including a high-speed RallyCross race and repeat wins in Skateboard Park, Moto X Speed & Style and BMX Dirt. Moto X Freestyle, originally scheduled for Saturday night, was postponed to Sunday afternoon due to the winds. But Saturday night's GoPro BMX Big Air riders decided to take to the MegaRamp despite the wind, insisting, due to the massive number of fans in attendance, that the show must go on. 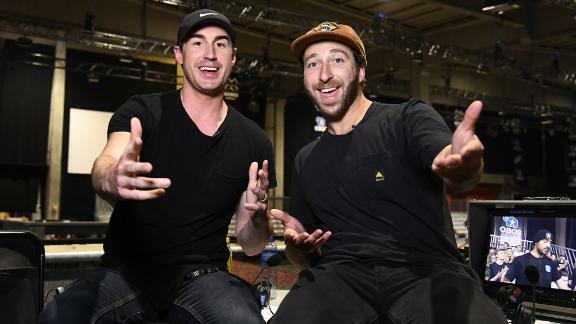 Colton Satterfield nabbed his first X Games gold medal in BMX Big Air on Saturday, beating out silver medalist Morgan Wade -- a Texas native and the local favorite -- and bronze medalist James Foster. 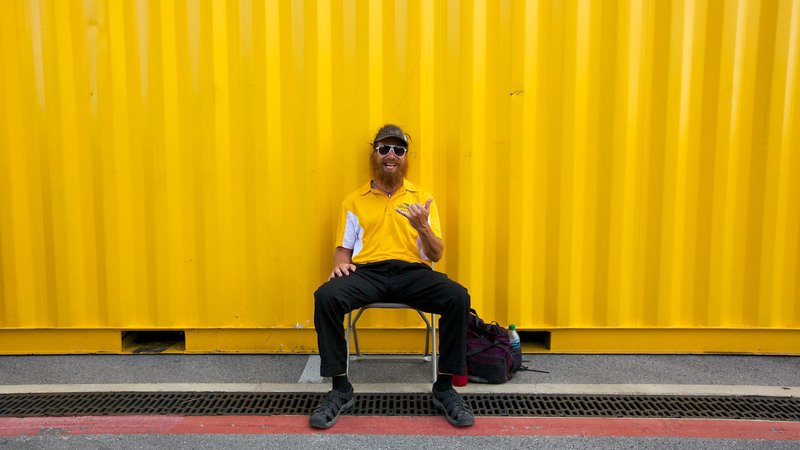 Satterfield was among the athletes in a riders' meeting arguing to run the contest despite the wind, and put on a show for one of the largest crowds ever assembled for a BMX Big Air event. 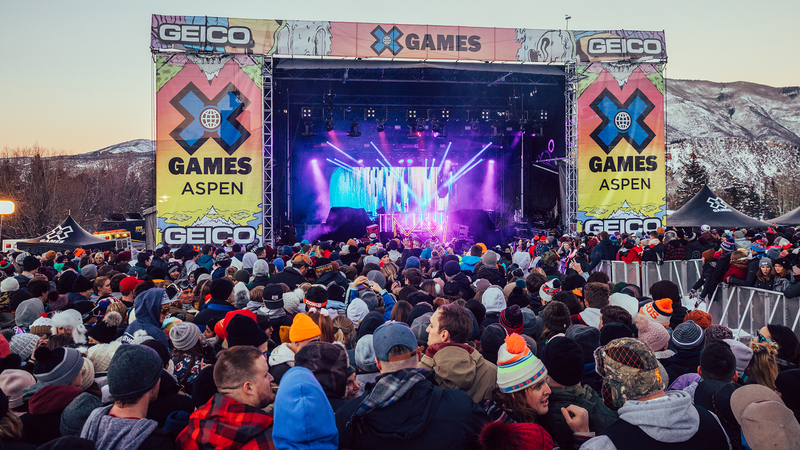 "This contest wasn't even going to happen and it only happened because all these people are going absolutely insane," Satterfield said, gesturing toward the throng of spectators watching from a hill next to the MegaRamp. 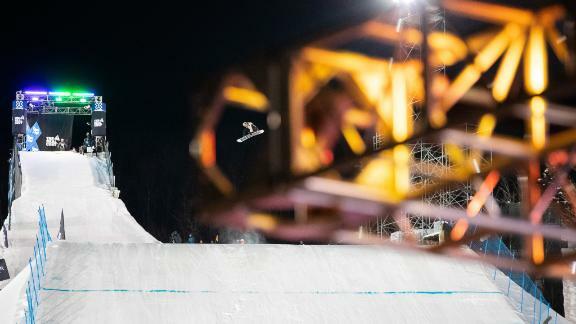 Satterfield's winning run featured a no-handed corked 720 over the gap to triple tailwhip on the quarterpipe, taking the lead in his second of three runs with a score of 90.66. "Being able to land that run was unbelievable to me," he said. "It was the craziest feeling and I think it took about 20 seconds of everybody shaking me just now to realize what happened. ... Morgan is insane, and everyone rode tonight in seriously the hardest conditions." Wade -- the defending X Games Los Angeles 2013 Big Air champion, who rode with a Texas flag pinned to the back of his shirt -- landed a Superman backflip over the gap and a double tailwhip on the quarterpipe in his first run. Wade had hoped to challenge Kevin Robinson's quarterpipe high-air record, but the windy conditions rendered that impossible. James Foster won bronze with a backflip tailwhip over the gap to triple downside whip -- his first time landing the trick -- on the quarterpipe. 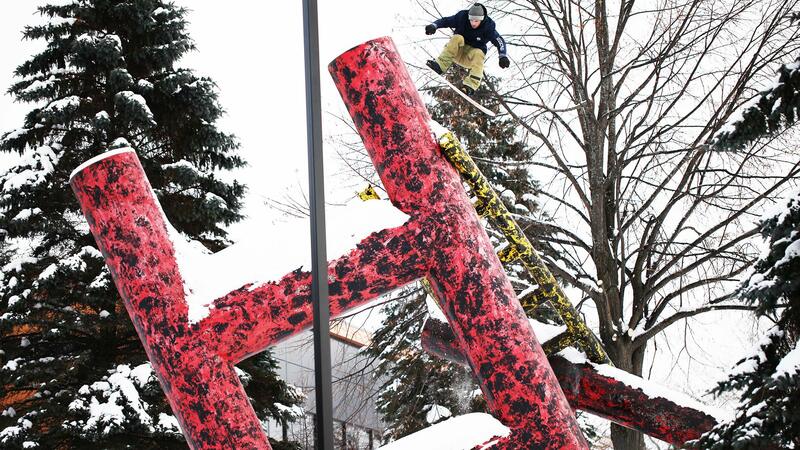 Established Big Air favorites Steve McCann and Chad Kagy failed to medal. 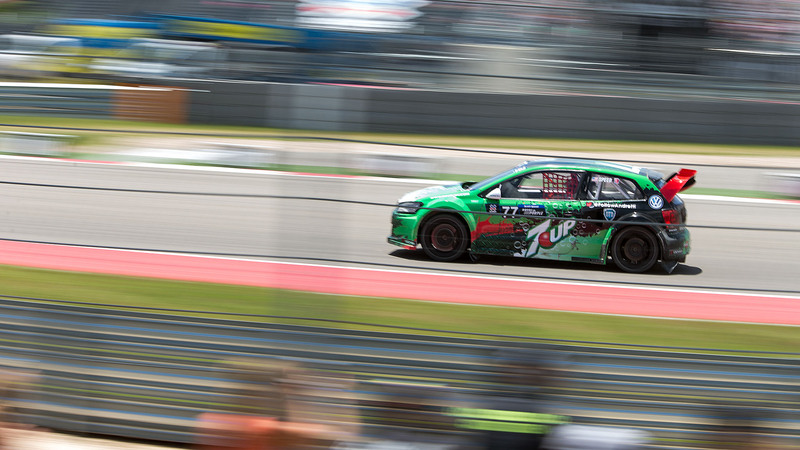 Former Formula 1 driver Scott Speed collected his second Ford RallyCross gold medal on Saturday at X Games Austin, racing on a portion of the Circuit of the Americas' F1 track. 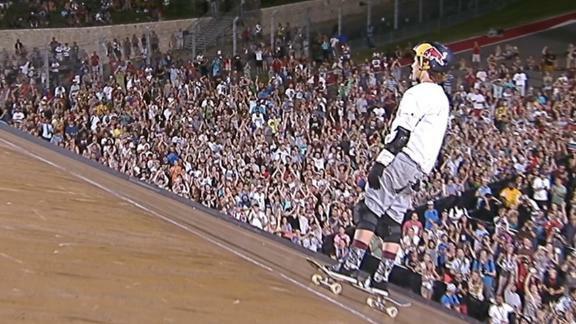 Speed won his first gold at his X Games debut in Foz do Iguaçu, Brazil, in 2013. "I can't say enough about this Volkswagen 7-Up Andretti automobile," Speed said of Volkswagen's debut as a manufacturer on the GRC circuit. 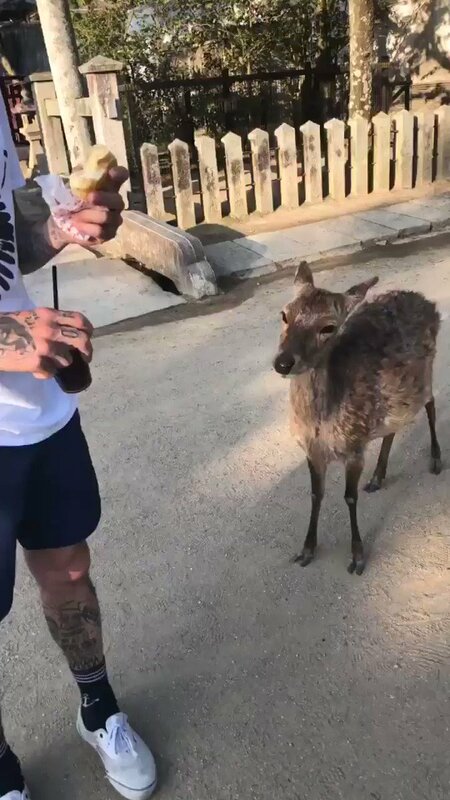 "This thing is always so fast it's just a matter for us of staying clean. 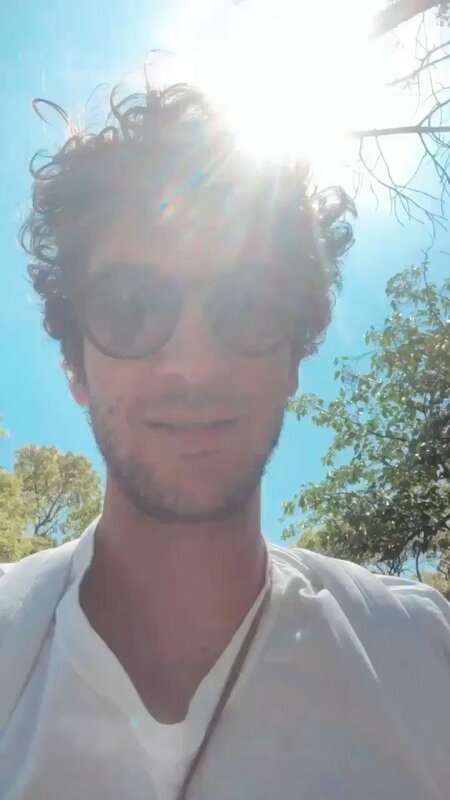 We get out in front, they can't catch us. It feels great to get Volkswagen's first gold here. Honestly, it's just the car: The car's so good, it made my job easy." 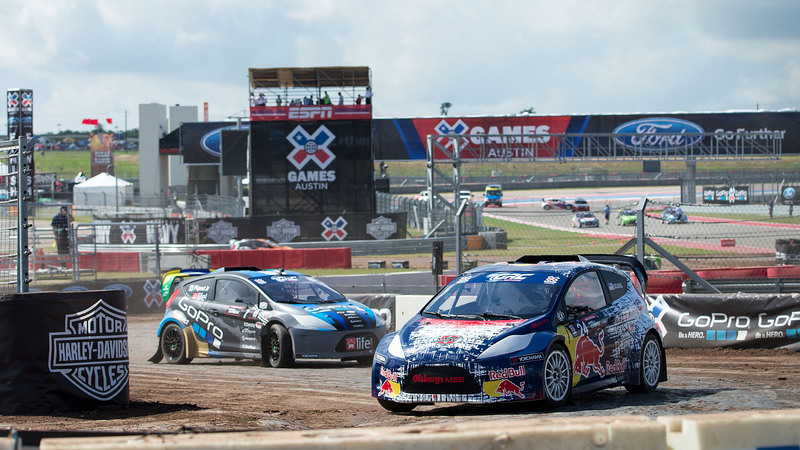 Austin marks the second stop on the 2014 Global Rallycross season. 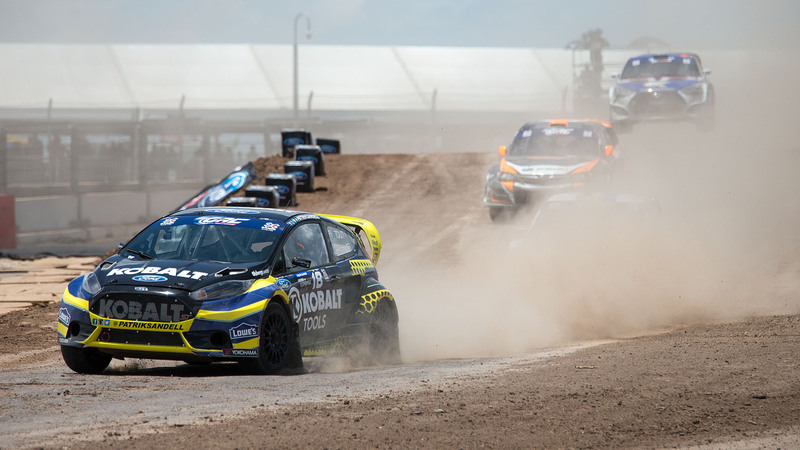 Speed also won the GRC season opener last month in Barbados. 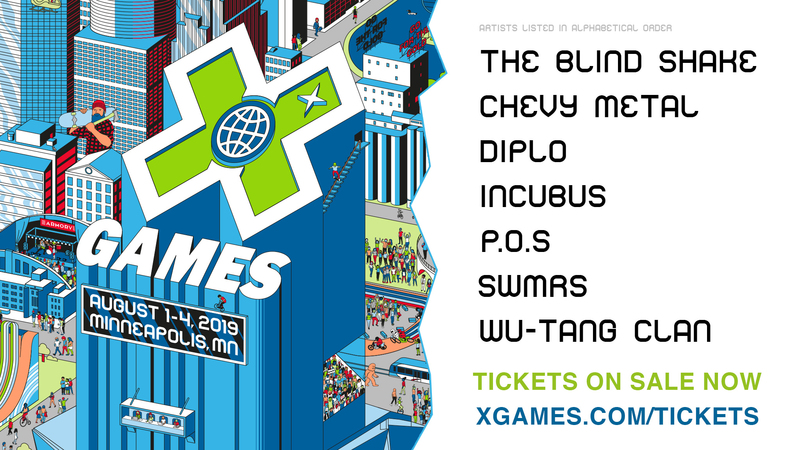 Eight-time Skateboard Vert gold medalist Bucky Lasek, who also competed in the Skateboard Vert finals on Thursday, earned his career-best RallyCross finish with the silver medal. 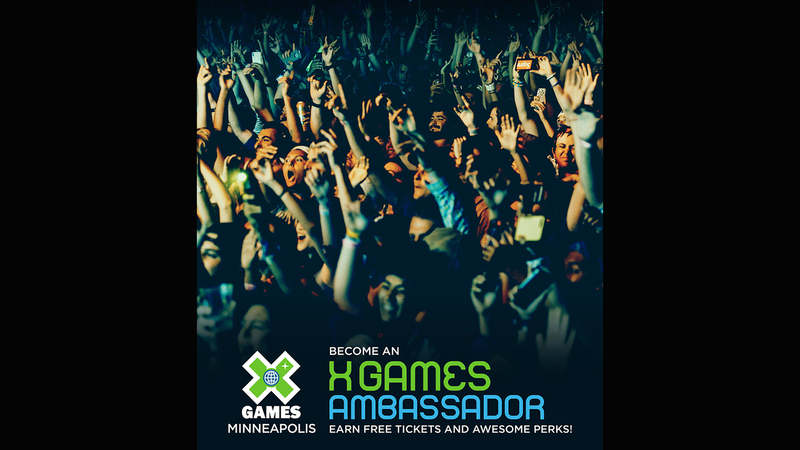 Lasek's first medal in RallyCross is the 20th medal he's won in his X Games career. Nelson Piquet Jr. took the bronze. 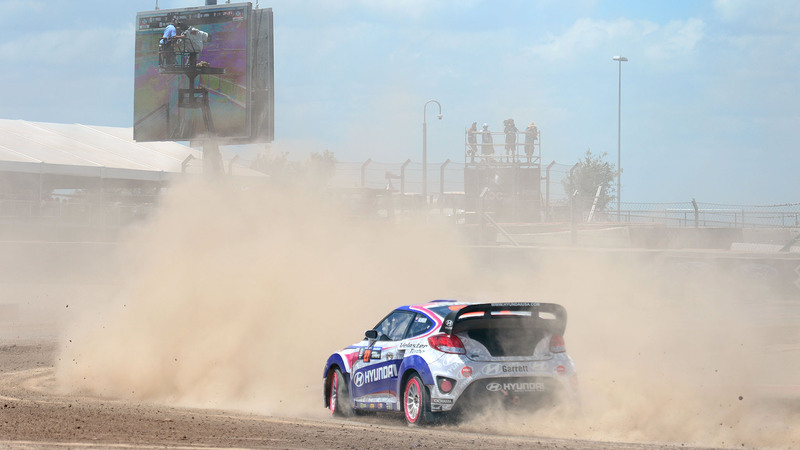 Lasek told XGames.com that he's made RallyCross his priority in recent years. 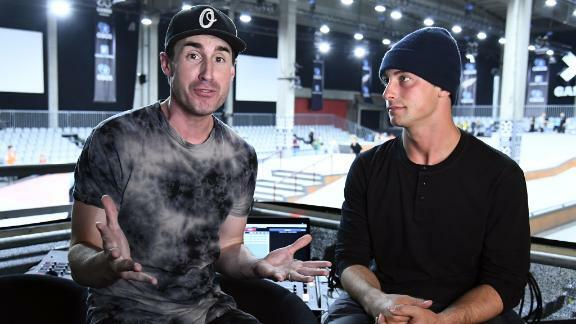 "I come here every year for F1, so it's kind of crazy to be here for X Games," he said. 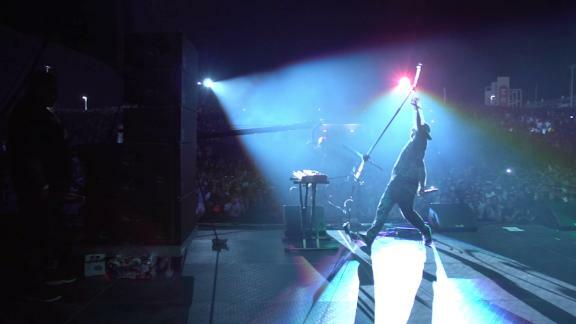 "It's two totally different worlds, but I'm passionate about both. I'm mesmerized by this place. 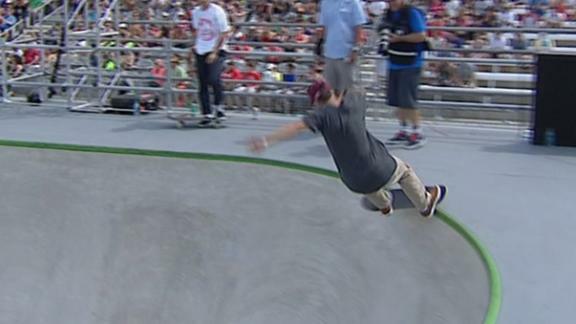 Getting to compete in Skateboard Vert was a bonus. 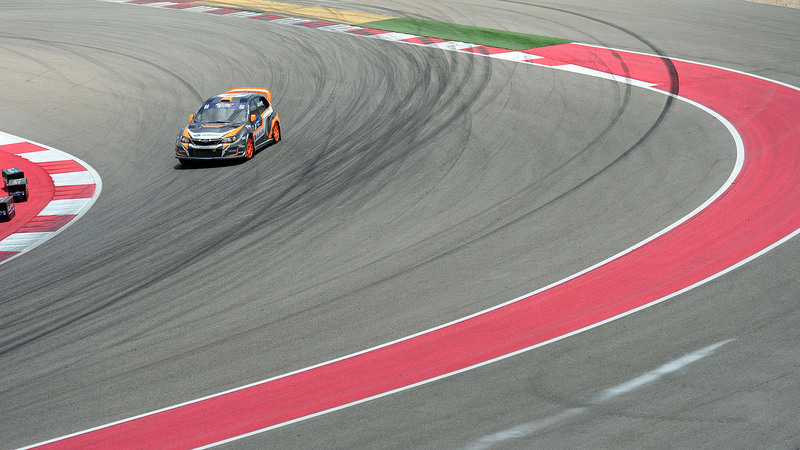 I came here to put on a racing helmet and jump in a car on this F1 track." 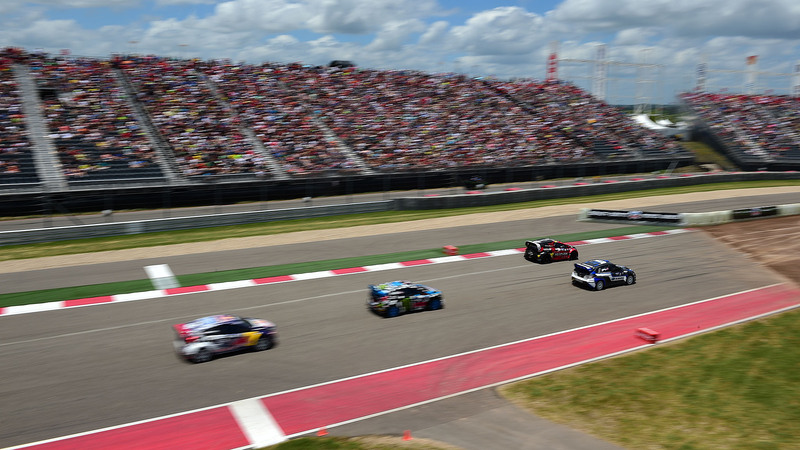 Austin's Circuit of the Americas, which opened in fall 2012, is the first racing facility in the U.S. that was built specifically for Formula One racing, but this week at X Games Austin, the track was used for a different purpose: X Games RallyCross, which brought some of the fastest drivers in the world together in Texas for the second stop of this season's Global RallyCross. 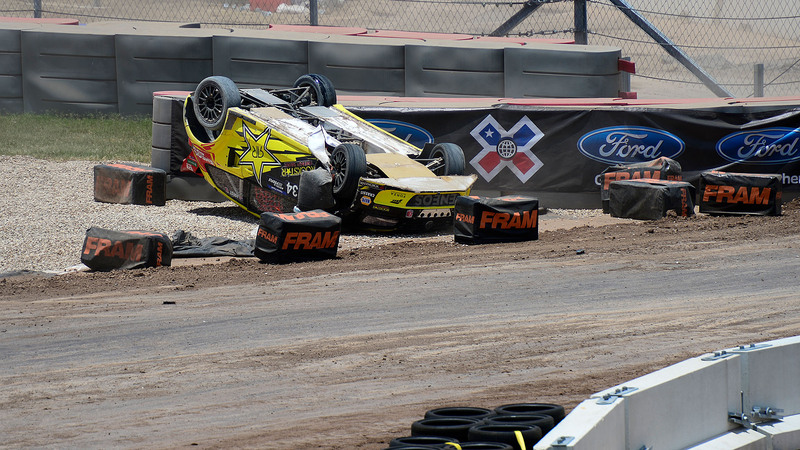 Saturday's action was a smash-up, with cars battling on the first turn through the first round heats, qualifiers and semifinals and some big surprises as top drivers like Topi Heikkinen, Tanner Foust and Ken Block crashed out along the way. 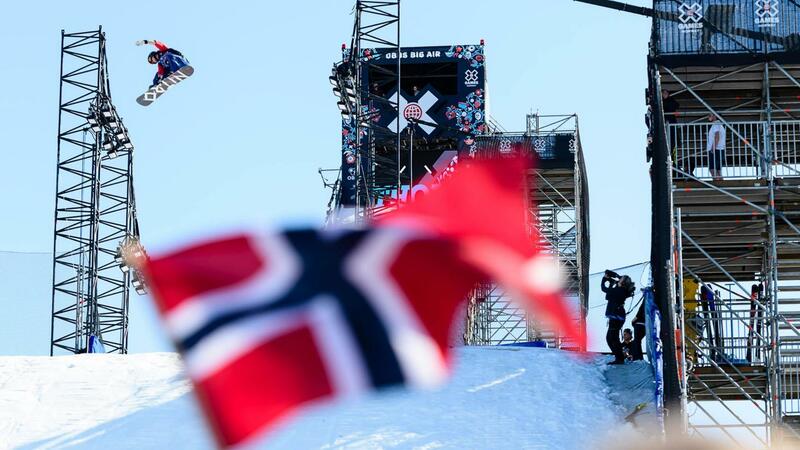 Finals were no different, with a crash forcing a red flag, Austin Dyne getting towed from the course and Patrik Sandell forced out of the restart with a black flag for causing it. 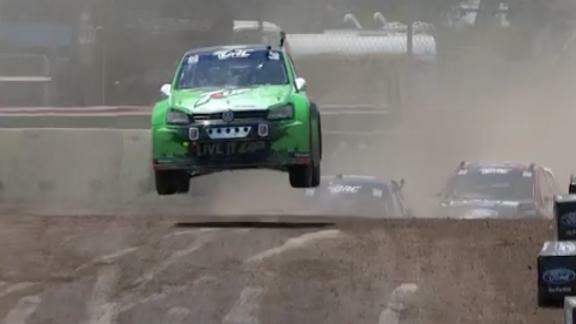 Liam Doran just missed the podium in fourth place, after trouble near the finish line in the final lap. 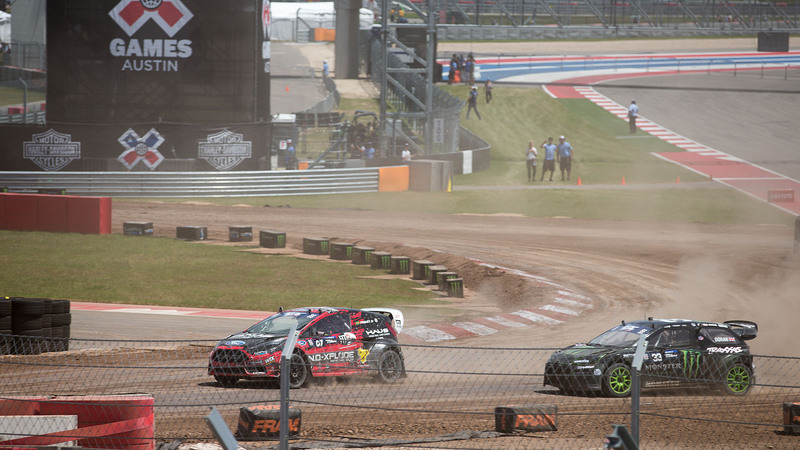 Emma Gilmour -- the first female RallyCross driver behind the wheel at X Games -- advanced to the semifinals, where she finished sixth and missed the cut for the main event. Mike Mason edged out Blake "Bilko" Williams for the gold medal in the head-to-head Moto X Speed & Style final on Saturday. Williams walked away with the silver, while Jarryd McNeil won the bronze medal match against Kris Foster. 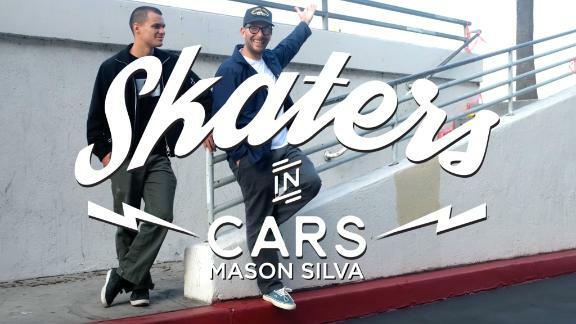 "I got to go against Bilko in the finals and that's fun," Mason said. "He's been one of my good friends for a long time, so we had a blast." 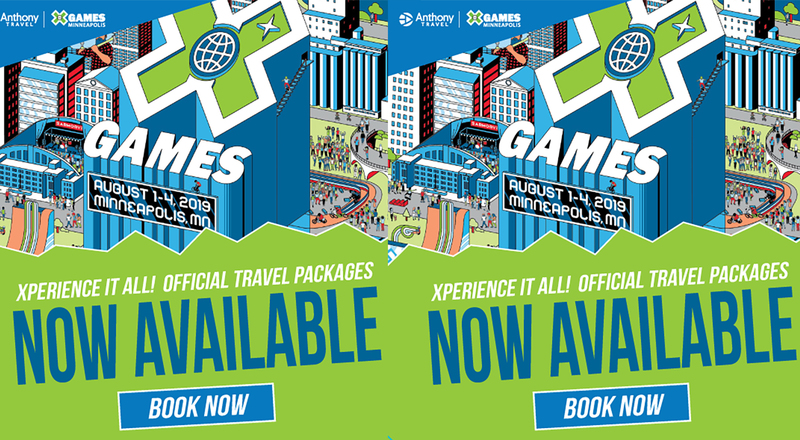 The win gave Mason his fourth Speed & Style gold and seventh X Games medal. He won the race on both fronts, earning a full 50 points to Williams' 47.5 for finishing first and earning 83.5 points to Williams' 80.5 in the judged freestyle portion of the contest. Mason said the riders all had to tone down their tricks due to heavy wind conditions in the area. Wind delays interrupted Saturday's practice schedule, and there were several accidents on the course during the day. 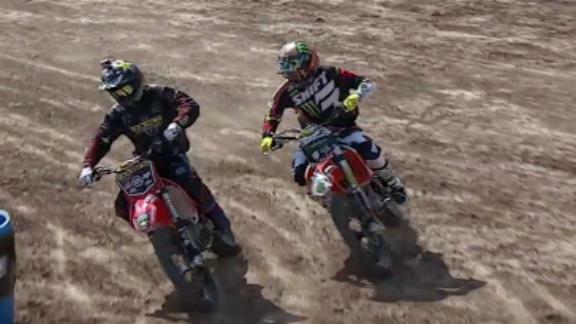 Javier Villegas crashed in practice, breaking his right femur. McNeil, the first alternate, filled Villegas' position. 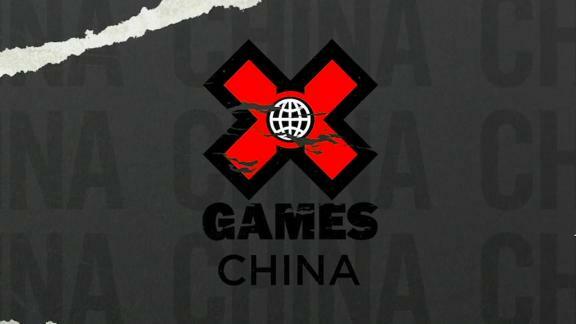 Lance Coury crashed during his quarterfinal race with Foster, which resulted in a mild concussion, according to X Games medical staff. 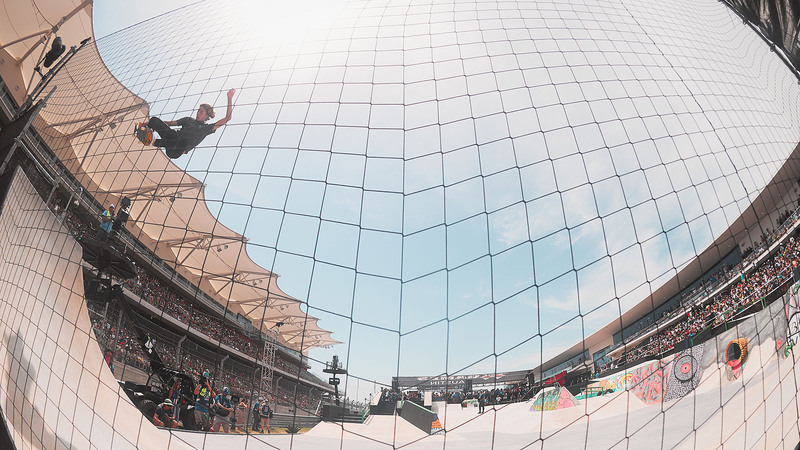 Pedro Barros has made the podium in every Skateboard Park event since his first gold at his X Games debut in 2010, and he added a fifth gold medal to his collection on Saturday at Circuit of the Americas. 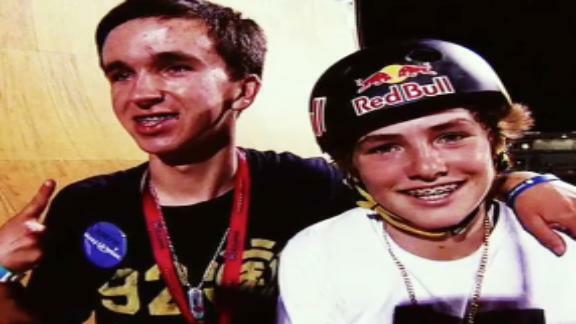 Pedro Barros won his fifth gold medal in Skateboard Park. The Brazilian native seemed comfortable in the Texas flag-emblazoned concrete park in Austin, zipping around the course with a huge stalefish gap transfer and a stylish Smith grind through the corner before landing a melon 540 to post the event's only score in the 90s. 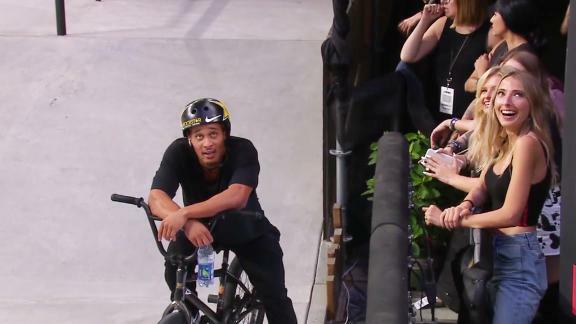 "It's amazing to skate with all these dudes," Barros said. "They're all my friends and they all rip it up. 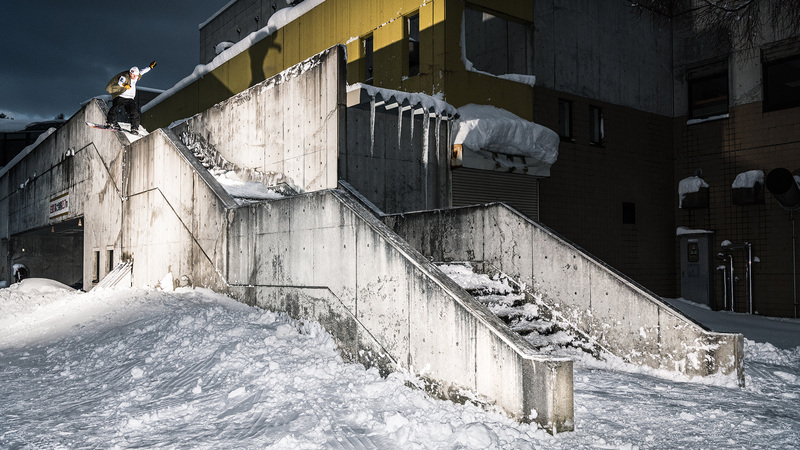 It kind of felt like a session in probably one of the most hot days I've ever skated in my life, but it was amazing." Barros managed to find more speed on the course than any of his competitors, working every transition and corner for more power. He beat out silver medalist Grant Taylor by more than six points, with Aaron "Jaws" Homoki taking bronze. Australian rider Kyle Baldock won BMX Dirt gold to kick off Saturday's action, making short work of the biggest and most technically challenging dirt course ever featured at X Games. 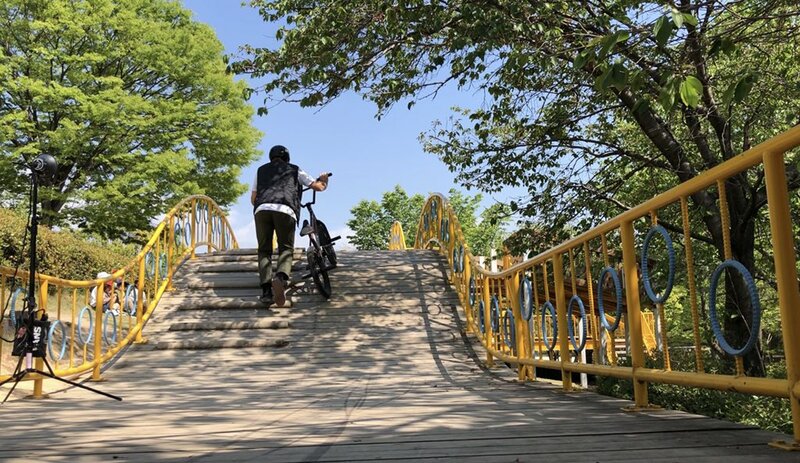 He began his first of three runs with a corked 720, followed by a frontflip over the angled hip to berm (which many riders had trouble tricking), to double tailwhip, ending his runs on the downhill slope with a huge opposite double tailwhip and a backflip barspin. 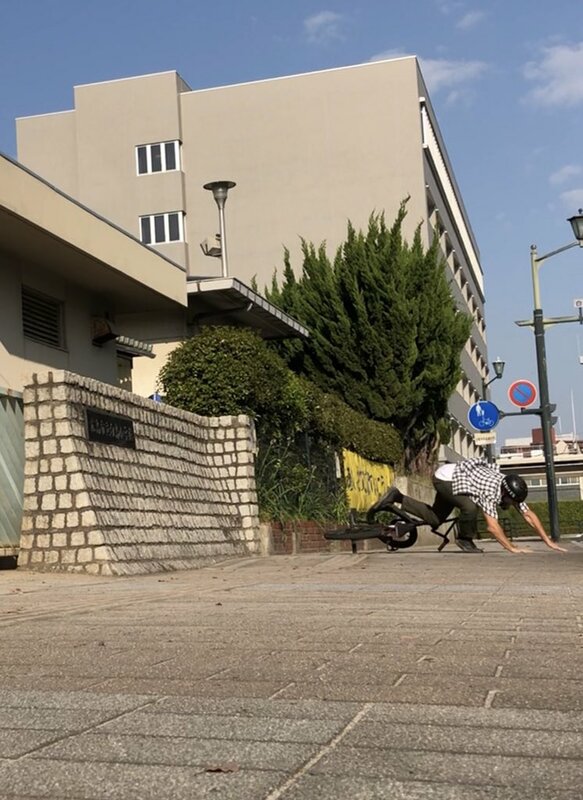 His score of 92.33 held up until he improved on it himself, bumping up to 95.00 in Run 3 with a flip whip to late barspin, 360 barspin step-up, downside whip, double opposite tailwhip and a slowly rotated front flip. 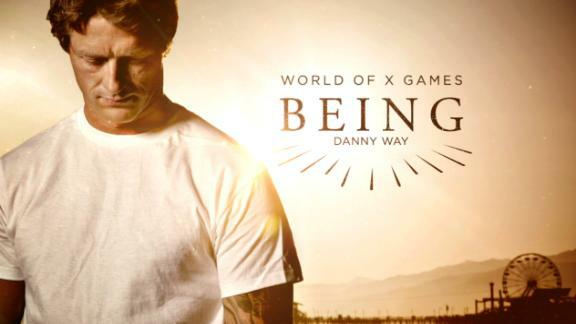 "Oh, it almost feels not real right now," Baldock said as his third X Games gold medal was placed around his neck. 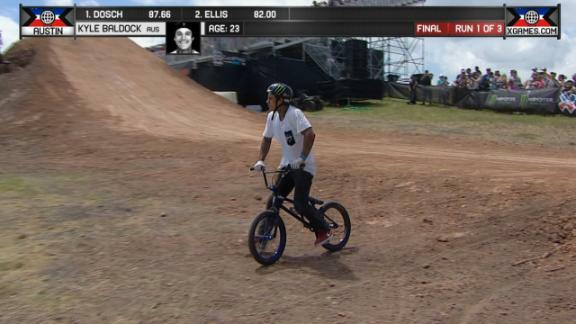 Baldock previously won BMX Dirt at X games Foz do Iguaçu 2013, where he also won BMX Park gold. 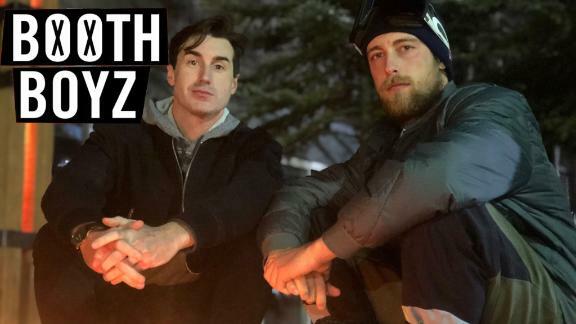 "It has to go down to all the homies, they were all out there putting in work," he said, crediting his friends and competitors with pushing him to ride at his best. "I was just there to try to have a good time with it, but I'm Australian, everyone steps up so we have to step up." Among those pushing him were silver medalist Ben Wallace and bronze medalist Brandon Dosch. Chris Doyle, Saturday's top qualifer Pat Casey and TJ Ellis rounded out the six-man final. Baldock will also be competing in BMX Park on Sunday. He said his Dirt win gave him a boost of confidence before Park, but said, "All the dudes over there, they're all the best in the world. They can take it. All I can do is go out there, go as hard as I can, and we'll see what happens."